Enticing notes of caramel and rich milk chocolate are complemented by hints of sweet citrus. Especially well suited for straight shots of espresso. 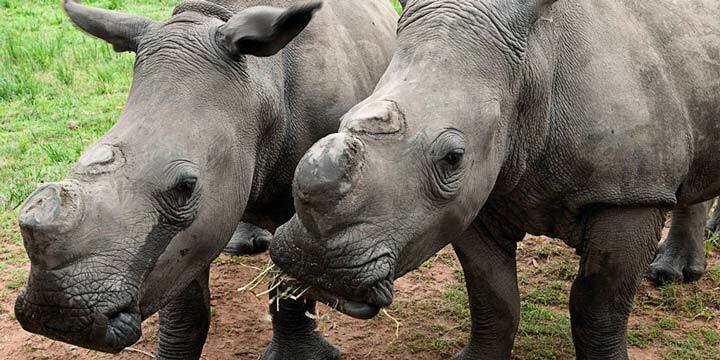 By working together, we strongly believe that we can save the rhinos from extinction. 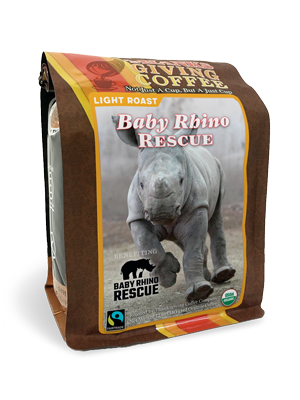 Baby Rhino Rescue provides physical and emotional support to the orphaned rhinos left behind after the poaching of their parents, and a percentage of the proceeds from this coffee goes directly to their organization. 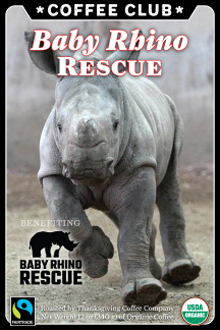 Our vision with Baby Rhino Rescue is for each of these beautiful creatures to have a safe future in the wild. 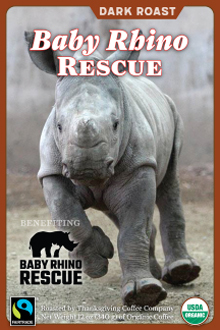 “Upsetter” is our light roast blend for the Baby Rhino Rescue. Created by our Roastmaster, Jacob Long, this blend for the espresso cafes we supply here in Northern California. What we wanted was a coffee blend with a soft acidity, and the sweetness of plums and blueberry fruit. So, we went to one of our favorite Nicaraguan cooperatives, SOPPEXCCA for the base. 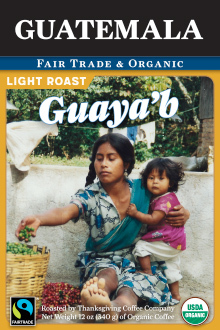 It is a sweet coffee, very forward on the palate, and it’s acidity is not bright or citric like most great coffees, making it, perhaps, out of balance, but perfect for creating “Upsetter”. We married it to a fruity “dry process Ethiopian coffee from the Yirgacheffe region to give us the mellow berry notes and between those two coffees you have the secret to 75% of the blend. This coffee pairs well with delicate foods especially egg based breakfasts and afternoon desserts. *Milk has lactic acid as a major component. Heating milk converts lactic acid into lactose (dairy sugar). Steamed properly, the milk foam is sweet. With a double shot of Upsetter Espresso it becomes a wonderfully delightful latte, without the carbony notes to spoil the coffee flavor.